Naumaan Ijaz having remarkable acting skills in various known dramas in Pakistan have given him the highest position in the list of top performers in the Pakistani film and drama industry. Ijaz most senior actors of PTV with 25 years career in Pakistani Drama Industry (till 2013) acquired eminence through hard work. The 11th year of Miss Pakistan World and the 3rd Year of Mr. Pakistan World will be held at the Red Rose Convention Centre in Mississauga. The event will be chockfull with dance and culture will be celebrated with contestants striving for the title of Miss Pakistan World and Mr. Pakistan World. 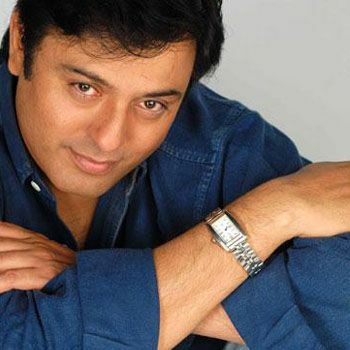 Recently Naumaan Ijaz has given stunning enactments in his recent dramas on Hum TV, “Rihaee” and “Ullo Baraye Farokht Nahi” but his biggest hit was a few years back, unforgettable for the drama “Mera Saaein” by ARY Digital. Ijaz has been moving forward on his way to success with more hits smoothly along with more incredible performances. Soon he would be seen in various Canadian and American productions as well. Miss Pakistan World and Mr. Pakistan World 2013 welcome Naumaan Ijaz as their Guest of Honor. Ijaz started his education at Cathedral High School in Lahore and then he studied Law at Punjab University, but there after Ijaz became an actor. His career began in Lahore, Pakistan. With his handsome craggy gazes and his huge female following Ijaz is known to give amazing performances one after the other. President of the company Touchgate Global Inc. that organizes the 2 events, Sonia Ahmed said that the competition has been going strong and that this year will mark its 11th successful year.